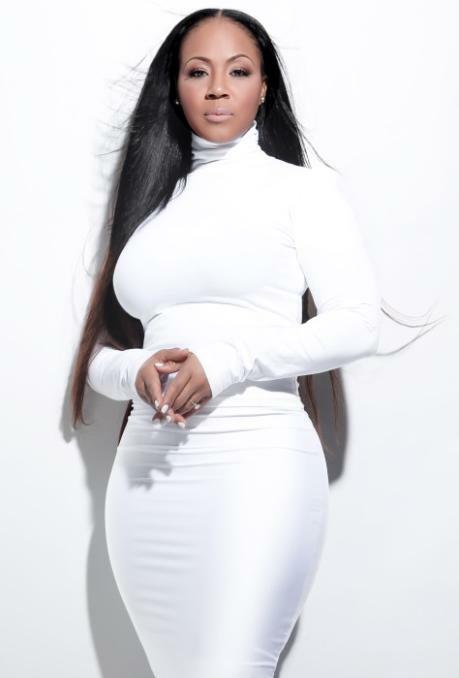 It wasn’t too long after I turned on the radio that I heard Erica Campbell’s newest single “I Need Just A Little More Jesus.” I actually heard the song a few times before and thought to myself … “What? ?” But this time I listened to as much of it as I could stand and promptly turned it off! I’d rather ride home in silence. I know, I know… how dare I say something about a gospel song with the name “JESUS” in it?! Well here’s the thing, I’m not moved by religion, I’m moved by relationship. In any relationship you must know the person you call “friend.” I’ve spent enough time learning Him to know through His own words that He’s done all that He is going to do. What more can you ask of someone who died for you? He not only died but resurrected and is with us every single moment of our lives. He is known as “I AM” meaning everything you will ever need He is. So tell me what more can He be for you or do for you?? …. I’ll wait. The truth is we tend to not recognize His presence until we’re beat up and torn down by our way of life. The song would make sense if it was about needing to make more time for Jesus but the way it is now is just dumb. Yes dumb. I don’t buy into songs just because they fit into the “Gospel” genre. There are many gospel songs that have absolutely no truth to them at all yet people sing them with praise in their heart because it sounds like a good church song. The artists threw in a bunch of “Jesus” references so people would negate all the other non-biblical lyrics. Yes, her song sounds good and churchy. It’s a good rendition of how old time gospel songs used to sound like. There’s just one problem. There’s no truth to it and because of that I want no parts of it. I feel the same way about singing a song about climbing a mountain when the Word says that I can speak to it… or begging the Lord to not pass you by when the Word says He’ll never leave you or forsake you. Just because it’s gospel, doesn’t make it truth! Check out my thought’s on Erica Campbell’s new single and feel free to comment! iThink you know that this statement is LIFE to me: “It’s also my hope that people are more open to inspirational songs that aren’t under the “Gospel” umbrella. It may not have the traditional gospel sound but if it’s truth I’ll take it!” AMEN TO THAT!!! Thank you Bianca. I have been questioning the term “More Jesus” or “I want to see God move more!” I agree and I cant find it in the gospel and it reminds me of Jude 3:4 “For certain individuals whose condemnation was written about[a] long ago have secretly slipped in among you. They are ungodly people, who pervert the grace of our God into a license for immorality and deny Jesus Christ our only Sovereign and Lord.” Music has the ability to obscure messages due to familiar beat. I have not forgotten – satan was the music ministry before his fall! Amen sis. I know your initial comment was posted several yrs ago however I heard the song today. I decided to Google the meaning of the lyrics. Just in case the writer of the song had a deeper meaning. NOT! Makes no sense. I’m thankful for being part of a true Word teaching ministry. No longer can I/ will I sing, listen, tap my feet to songs that send untruths to listeners. Unfortunately it seems the gospel music industry has become money driven. Wake up people!